It is a phenomenon known to almost all of us: you browse the web and suddenly your computer slows down and runs loudly. This could be due to so-called crypto mining, meaning the access to computer power to generate cryptocurrencies without the knowledge of the user. In response, the St. Pölten UAS has developed the open source software “CoinEater” which blocks unwanted access and is available as an add-on to Firefox and Chrome. 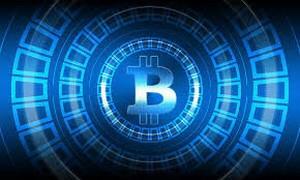 Cryptojacking describes the creation of cryptocurrencies by visitors of a website without their approval. Since mining is a very computing-intensive process, this can lead to reduced battery life on mobile devices. Due to this, the St. Pölten UAS has developed the free software “CoinEater” which recognizes online crypto mining and blocks its execution. St. Pölten says that a scanner developed at the Institute for IT Security Research automatically searches the Internet for cryptojacking at regular intervals. The results are then integrated into the CoinEater software. To do this, researchers went through over one million of the most popular websites and uncovered that more than 3,000 sites digging for cryptocurrencies without their users’ knowledge. The researchers’ program also provides a technical analysis of the methods used by these websites. The scanner also recognizes another new phenomenon on the Internet: the pop-up scam. When visiting websites, users are confronted with pop-up windows containing ads or short messages which link them to fee-based offers or malware and which have to be tediously clicked away.